Let’s look at the mom who bore Abraham’s first son. You remember Hagar, Sarah’s Egyptian slave? Recall also God’s promise to make Abraham the father of multitudes. Ten long years of trusting and following normal reproductive practices had not produced a child for Abraham and Sarah. A bitter wife decided to initiate her own Plan B and foisted Hagar on Abraham. And voilà – Hagar conceived. And gloated. And Sarah couldn’t stand it. She vented her pain of broken dreams and resentment on her slave and Hagar fled into the wilderness. 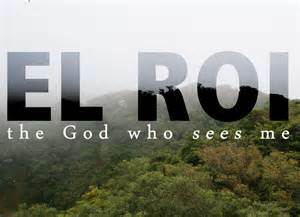 El Roi is not 2 words, but literally 3 words – (the) seeing God who sees. And if God SEES ahead then He will not leave it at that, He also is the God who provides what we need IN those future circumstances. early 15c., from Latin providere “look ahead, prepare, supply, act with foresight,” from pro- “ahead” (see pro-) + videre “to see” (see vision). So the seeing God who sees is by definition the God who supplies our needs. This aspect of God, for both Mike and me, is growing more and more central to our lives. Maybe what I mean is that we are growing stronger in our commitment and ability to take Him at His word and trust Him. B – cast each of these cares and their component parts on the One who promises to provide our EVERY need. I’ve been experiencing a swollen lip and uncommonly chapped lips for 4 weeks and no home remedy worked. Mike continued to urge me to see a doctor. It’s a pain when you’re a teacher and live 45 minutes away from your doctor. And besides, I felt stupid. But Thursday night as I was in bed, I resolved to call the next day and SEE if just maybe I could schedule an appointment for the following Tuesday after school, the earliest that school commitments would allow. This time, I uncommonly, but deliberately chose to take God at His Word and give this coordinating detail over to Him. I slept peacefully. I arranged to follow the bus to where the kids were going to be dropped off. Found parking. The bus returned in time to collect them and thanks to Miss GPS, I navigated from the unfamiliar location onto my interstate. My handing over to the ruler of the universe the unpredictability of Friday afternoon traffic amid harried, tired drivers bore fruit and I arrived on time to my appointment. The doctor prescribed an Rx and I headed to the pharmacy. But the pharmacy never received the Rx sent via the computer. A bonus extra credit opportunity from God. I texted my doctor for the first time, not sure the number would work. It did. He did what he had to and later that night the pharmacy texted that the Rx could be picked up on the morrow. And as frosting on the cake, the lost time after school on Friday that I normally spend inputting grades and readying for Monday, God gave me Friday morning in some unusual circumstances. I hadn’t even WORRIED or ASKED Him about that need! Our good God beautifully handled LOTS of details of this current problem. (God is good all the time, the horror of the evil terrorist attacks in Paris, notwithstanding). Although maybe minor in the life of other believers, this growth in turning over to God a problem in lieu of clinging and worrying and imagining all the ‘what-ifs’ IS a major step for me. Listening daily to John Piper sermons, his teaching that the sin of unbelief IS the root sin of all other sins has penetrated my mind and heart in a tangible way. The drip method works! What I’m learning is that I have to catch the first signs of unbelief as new thoughts of possible (bad) future scenarios spring up in my imagination. Stopping those ponderings and substituting TRUTHS about God IS the fight against unbelief. Our baseless but SEEMINGLY real conclusions have to be weeded out ruthlessly as part of our ongoing preventative maintenance of the life of faith. If allowed to take root, musings quickly grow into debilitating feelings. To cement this new growth in trusting God, both Mike and I were handed our next challenge; an excruciating toothache that kept him slumber-less on that Friday night. I quickly spotted the follow-on challenge to this week’s homework. 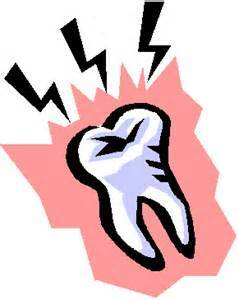 I handed over to my good Provider the problem of getting in to see the dentist on Saturday. And pulled up each thought/fear weed contrary to God’s word. Result? When we stopped by, he actually took Mike back and looked at the crown job completed earlier in the week and is referring him to the endodontist. When the pain killer didn’t seem to last long and Mike thought about the article deadline looming where he had to think clearly, write and submit his defense piece to his editor Sunday night, we together stared down the temptation to doubt. We encouraged each other to trust the ‘seeing God who sees’ ahead and supplies the need at the perfect moment. We have learned by now that God who is intent on growing our trust won’t furnish resources AHEAD of time. It’s now 5 pm. Mike has finished his writing; the painkiller he took at 10 am seems to have worked well enough to keep the pain down. We are geared up for the next need we are handing over to El Roi, that of getting in to see the endodontist SOON. Pray with us that we won’t falter and succumb to this temptation. Satan loves to blow on any crabgrass of disbelief like he did with Eve in the garden. 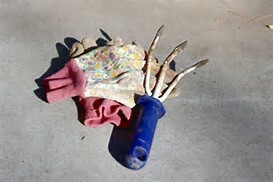 Didn’t you know that weeding gloves are an indispensable part of the armor of God!